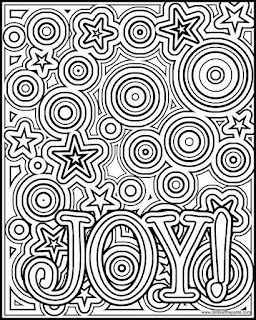 Today's Joy coloring page is an experiment. 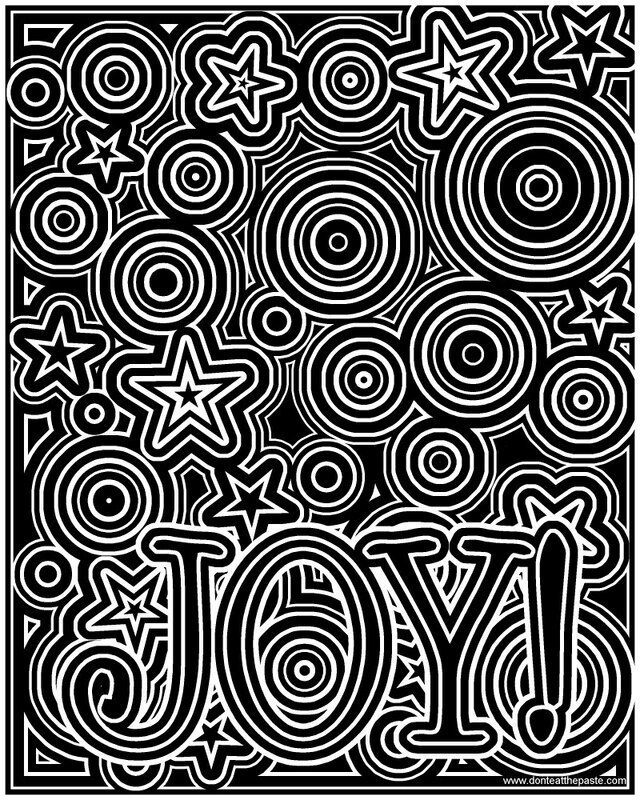 It's a fairly simple design, but I wanted to see how something like this would look in positive and negative images and to see what you would think of it. Do you like coloring pages with a lot of black in them for a darker look? 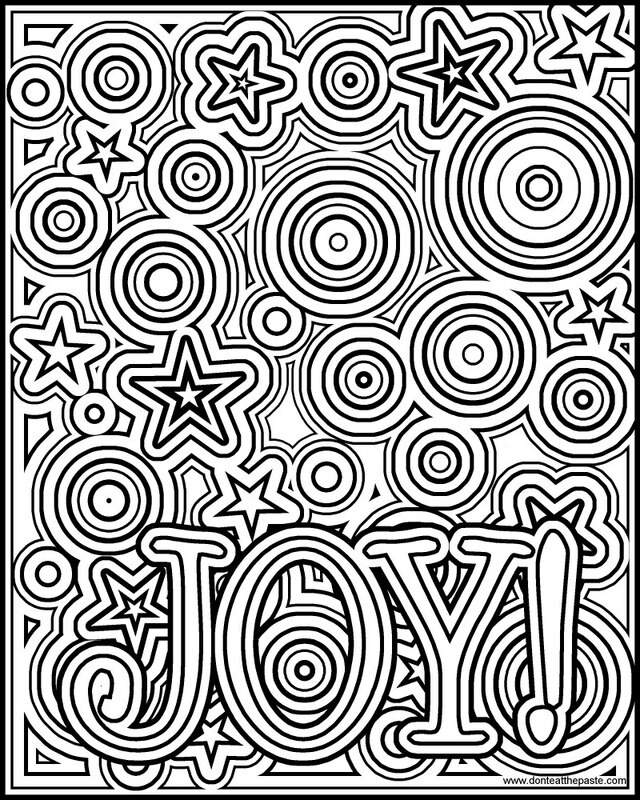 Click the images below to print and color larger versions of this coloring page! Help! 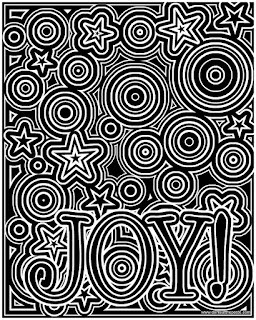 I love your JOY coloring page. I need something just like it that says "mom". Can you create this? I love both of these! 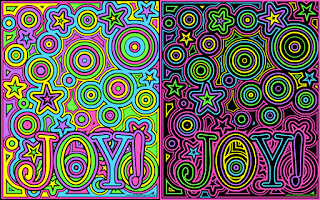 I sometimes look at a coloring page, and add black for the bold feel that it gives, so I think it is an awesome idea to have a "negative" coloring page, it really makes the colors pop! Thanks for all the awesome stuff, and keep making every day beautiful!